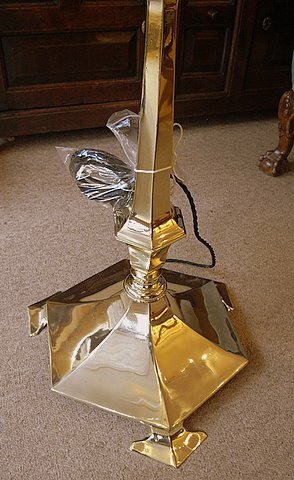 A high quality Art Nouveau brass standard lamp. Circa 1900. Raises from 60" to 72". Rewired.